BARGAIN - Wi-Fi Range Extender and Amplifier - Only £3.99! The modern families usually have the Wi-Fi network, it greatly facilitates our lives, but deal to the signal strength, barrier walls, etc., the normal routers only covers an area of approximately 50 square meters, which is not enough for use. In such situation, you need an AUKEY repeater, which can extend the coverage of network. Supporting AP mode, routing mode and bridge mode, it is your reliable and versatile companion for your internet life. Both networks simultaneously coexist, you could choose between them according to your requirement. 3 internal antennas offer more stable data transmission, do not worry about of poor quality network or signal loss when watching a video or playing games. It has a compact design and eliminates the external antenna making it more modern and simple, its small size makes it easy to carry, and not taking up place. If you have any problems when you use it, please see the video named “AUKEY WiFi Repeater Quick Setup Guide” on AUKEY’s official website. well done for sharing this, a great bargain too! Been looking for one for ages and for this price and going by reviews worth getting. I sent mine back as only only found it improved signal when connected to earthnet and that was only slightly. Small but dynamic Wi-Fi repeater. Sorted out the dead spot my son had in his bedroom where he was unable to get access on either his IPhone or his PS4. Just got email tonight telling me they have canceled order due to no stock for this order. Did anyone else get this, or had theirs cancel? 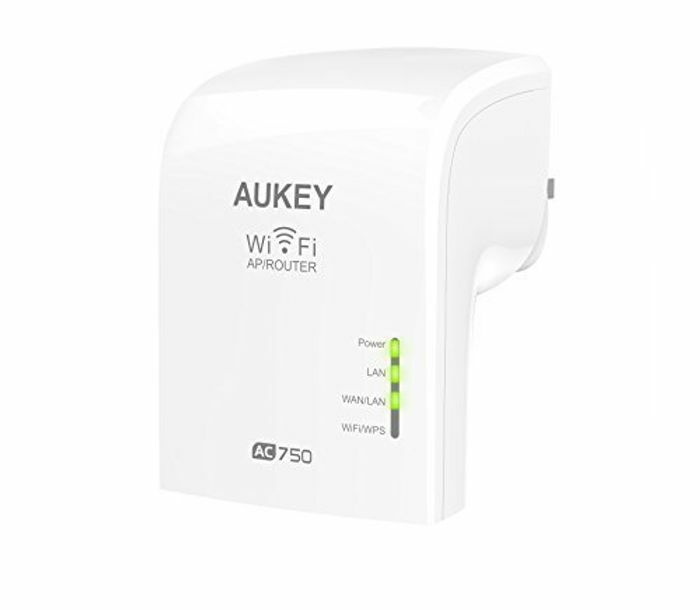 "AUKEY 5/2.4 GHz 433/300 Mbps Wi-Fi Dual Band Range Extender and Amplifier - White"
Our supplier has informed us that this item is no longer available. This item has now been cancelled from your order #XXXXX and we can confirm that you have not been charged for it. Please accept our apologies for any disappointment or inconvenience caused. "